With the vision of building a team that will be capable of qualifying for the 2019 Under-17 World Cup, the Philippine Football Federation is sending a 22-strong squad of U-11 players to the United Kingdom for a comprehensive three-week training and education program. The squad leaves for the UK today, the 23rd of August and is scheduled to return back to the Philippines on the 15th of September. 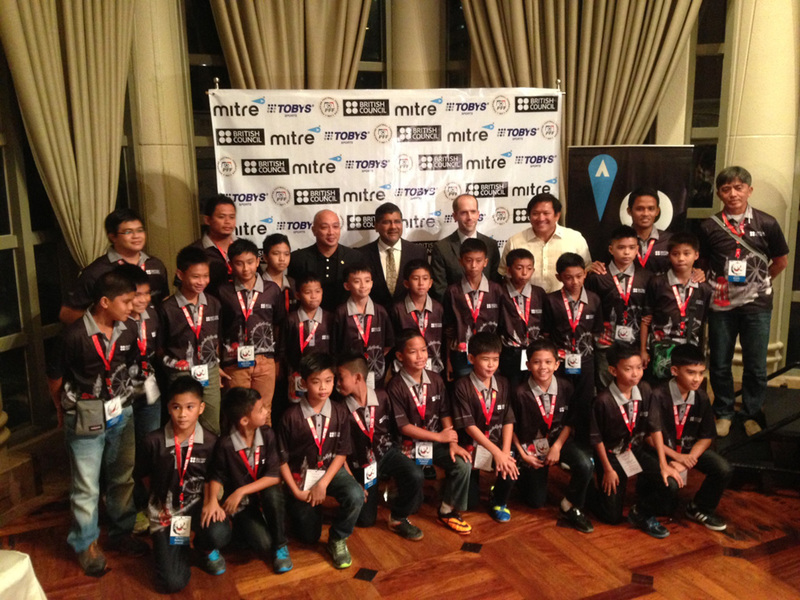 The team is composed of the current top players from a national pool of 90 youngsters. 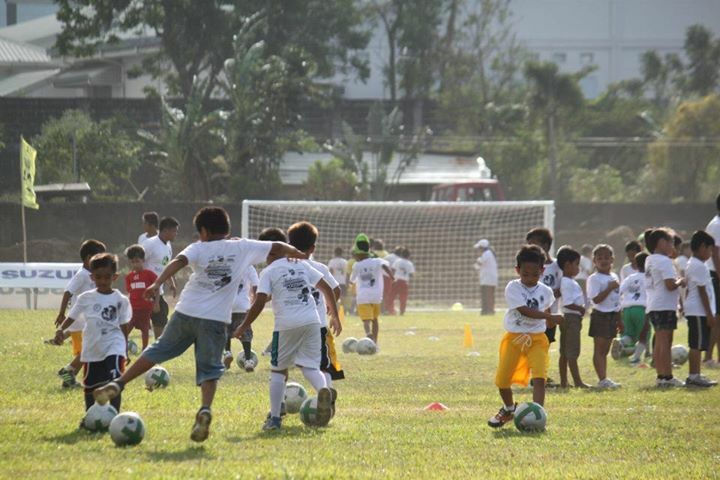 The pool was formed through the initiative of the Kasibulan Grassroots Program that was launched by the PFF in 2012. For the National Capital Region, schools were invited to send their best U-11 players to tryouts conducted at San Beda College recently. Provincial Football Associations were also requested to hold eliminations for private and public schools leading to their formation of teams for regional grassroots football festivals around the country. 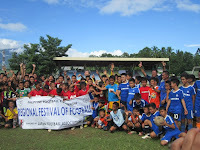 It was from these festivals that many of the players for the national training pool were selected. The final squad that will leave for the UK is made up of: Mark Alanquihan (Dipolog), Mark Amaikurut ( Davao), Josh Asignar ( Cebu), Yuan Rena (Cebu), Tristan Enad (Cebu), Charles Unabia (Cebu) Chevey Celeste (Bacolod), Shemrei Marobillo (Bacolod), Joi Gaid Jr. (Cagayan de Oro), Greg Naquines (Cagayan de Oro), John Karl Solomo (Iloilo), Jill Pillora (Iloilo), Agiel John Rojo (South Cotobato), Drexler Valencia (Negros Oriental), Ildefonso Escobin (Laguna), Robert Orr (NCR), Michael Osorio (NCR), Jacob Pedernal (NCR), Nikko Guitierrez (NCR), Nicolei San Jose Abalos (Laguna), Shaninho Clemente (NCR), and Vin Joel Dela Cruz (NCR). While the squad that will travel to the UK will undoubtedly have gotten a headstart on the road to the 2019 U-17 qualifiers, none of the players is guaranteed a spot in the team that will eventually compete in the Asian zone. While in the UK, the squad will be hosted by Loughborough University, which is known to have one of the best football programs in the world. The university is the county of Leicestershire in the English East Midlands and has consistently been ranked among the top 20 universities in the UK. The university is known for its world-class sports facilities, coaches and overall sports education. The squad’s UK visit is not entirely for football purposes alone. It is also a cultural immersion program under the sponsorship of the British Council. The squad will be billeted in a dormitory inside the premises of the university. Apart from training at the university’s facilities under the guidance of British coaches, the squad will also play training matches against local U-11 sides. The players will also be treated to an English Premiership match and watch a World Cup qualifying match between England and Moldova at the rebuilt Wembley Stadium in London. England are currently second in Group H of European World Cup qualifying so the youngsters will be privileged to be watching a crucial match that may determine if the English can wrest group leadership from current table-topping Montenegro. 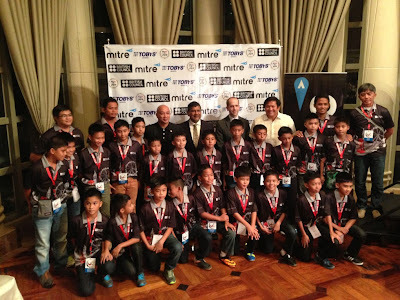 The Philippine U-11 squad is to be led by Rico Acuña of Pagcor. Also travelling as adult leaders are coaches Eliezer Fabroada from San Beda College, Percy Guarin from Cagayan de Oro and Dave Gerali from Don Bosco – Cebu City along with a team physiotherapist. The visit was made possible through the initiative of the British Council and the British Embassy in the Philippines in partnership with the PFF. Upon the players’ return next month, they will be going back to their respective schools and football clubs. 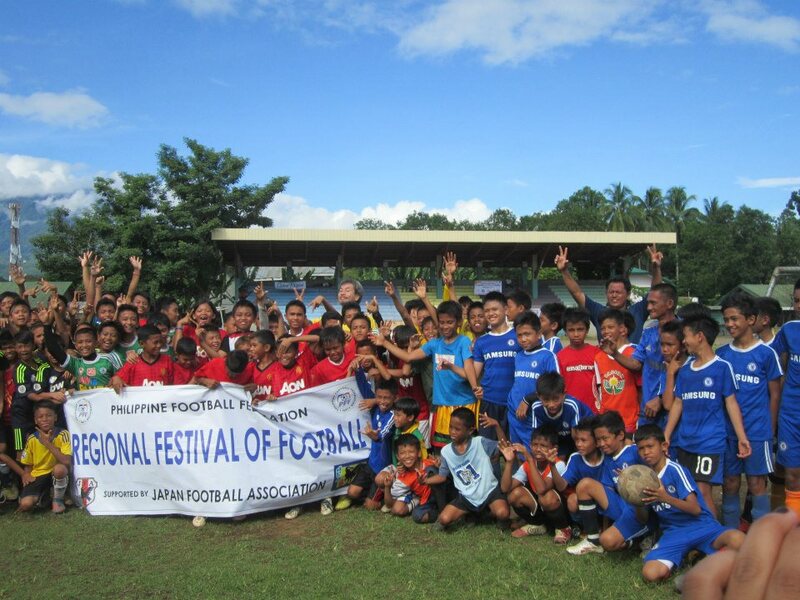 The PFF will continue to hold age group tournaments in the hope of discovering better talents. Only the best will be maintained in the national pool. The squad’s UK visit is supported by ABS-CBN Studio 23, Mitre, SM West Avenue Theater, Philippine Daily Inquirer, Voyage Film and Spears Sports Activation. The visit will be covered by filmmakers Clodualdo del Mundo and Baby Ruth Villarama in a documentary produced by Albert Almendralejo. The visit would also not have been possible without the kind assistance of the Asian Football Development Project of HRH Prince Ali Bin Al Hussein of Jordan. Acknowledgment: Photos and additional information thanks to Ake Pastoral of Kasibulan.